Port St. Lucie, a city in St. Lucie County in Florida, lies mostly inland, but one little stretch of it forms part of Florida’s “Treasure Coast”—that part of the eastern shore alleged to somewhere hide the remains of the Spanish Treasure Fleet lost in a hurricane in 1715. Neighborhoods include Torino, South Bend, Fort Pierce, Whispering Pines, Riverview, Oak Hammmock, Rosser Reserve, Tradition, Northport Village, Morningside, Lyngate, Woodland Trails, and Bayshore Heights, among others. 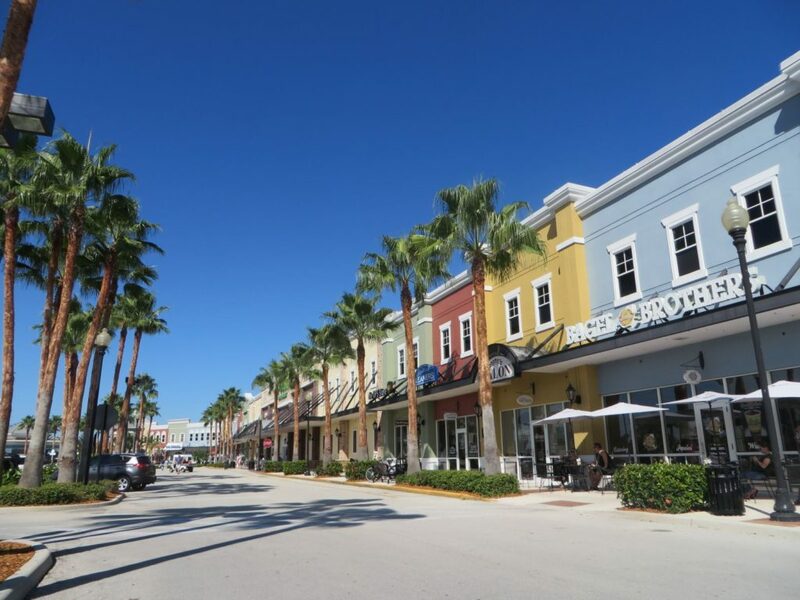 The city is still young: It was mostly unpopulated up until the fifties and wasn’t incorporated until 1961, after which expanding development and a growing population eventually made it the eighth largest city in Florida. A boom in the early part of this century petered out around 2007, and nearly 11,000 homes went into foreclosure. Coincidentally or not, the crash took place at about the same time as a rise in the availability and overuse of prescription opiates. The population is now estimated to be around 185,000. The education levels are close to those in the rest of the country. But the economic misfortunes have taken their toll: The poverty level is slightly higher than the average American town, and the number of those under the age of 65 without health insurance is twice the national average. Denizens of Port St. Lucie who might have lead normal productive meaningful lives ended up homeless, and in terrible health because of a common adolescent curiosity and dallying with recreational drug use or a doctor’s prescription. They engaged in petty crime in order to get enough money to pay for a fix. They neglected personal hygiene. They lost access to their families (in many cases their children were taken from them) and to any networks of social support outside of other users. Between 2014 and 2016 the number of overdose deaths in St. Lucie County nearly tripled, going from 35 to 103. In the early to mid-2000s pharmaceutical companies developed powerful opioids to treat pain. The opioids worked by altering the nervous system. They were addictive, and harmful for long-term use, but the marketing campaigns were very successful in convincing doctors of the benefits of these medications while strategically minimizing the risks. 2. Ordinary people with ordinary pain as a result of common illnesses and injuries went to their doctors to seek relief so that they could continue living normal lives. 3. Doctors began prescribing these painkillers somewhat recklessly. Some doctors were indiscriminate and prescribed these opioids when others would have been safer. Doctors were even known to prescribe several different opioids at a time to the same patient. 4. Some of these opioids entered the street, either stolen from medicine cabinets or stockpiled (after demanding them from doctors for nonexistent maladies) and then illegally sold. 5. By the time the harmfulness of these drugs became public knowledge, lawmakers moved to restrict their use. The availability of opioids diminished. 6. Because many people had become addicted to the prescription drugs, their absence left a gaping hole that was readily filled by other street drugs, mostly heroin. Heroin was much cheaper to buy and dealers were only too ready to fill the breach. 7. While all this was going on adolescents had continued to experiment with recreational drugs, as adolescents have done since time immemorial. But by now such experimentation had become lethally dangerous; dealers were now mixing illegally obtained opioids, including the deadly fentanyl, with heroin. 8. Eventually the public came to see that treatment for heroin addiction and other addictions was essential to preventing the influx of contraband drugs—as essential as law enforcement—and began facilitating access to drug addiction treatment. The logic was clear: Help addicts to stop buying the drugs and the supply will automatically decrease. Educating the public about the dangers of opiate addiction came in a close second to providing effective treatment. What can I find in Port St. Lucie to help me recover? What is Port St. Lucie doing to fight the opioid crisis? Because St. Lucie County hasn’t been designated an HIDTA (High Density Drug Trafficking Area) it isn’t in line to receive special federal funds earmarked for the prevention of drug crime. But even without such funding the county, and Port St. Lucie in particular, are doing amazingly well at tackling the opioid crisis, using their ingenuity as well as cooperating with law enforcement at all levels to combat what they correctly see as a very dangerous trend. The Sheriff’s office has partnered with the Federal Bureau of Alcohol Tobacco and Firearms to get information on drug cartels, gangs, and their associates. The Port St. Lucie Sheriff’s Office works with neighboring counties and different law enforcement agencies to set up roadblocks preventing drugs coming in to large music festivals. When overdoses are reported police detectives go along with EMS workers and afterwards question addicts in an attempt to trace the drug overdose (often heroin laced with fentanyl) back to its supplier. All deputies are now give Narcan doses to administer in overdose emergencies. Narcan saves lives by blocking the neural receptors affected by heroin. Once a life is saved they question friends and family members or anyone on the scene. Another surprising development is a crackerjack undercover police team that has successfully made deep inroads into the Port St. Lucie illegal drug trade and succeeded in making a high number of arrests. This initiative has been so successful that it’s even inspiring copycats. One would-be burglar, for example, was able to enter a gated community by convincing the guard that he was an undercover police officer in pursuit of a criminal. An altercation broke out when he tried to enter the home of the “suspect.” The real police were immediately summoned. The Roundtable’s Drug Free St. Lucie Coalition, made up of health care and business professionals, the school district, religious organizations, community leaders, parents, youth, and local law enforcement, has developed an initiative to prevent youth from entering into self-destructive behaviors. One wonderful program they’ve created is “Friday Night Done Right,” which provides events that are free of drugs and alcohol, bringing together hundreds of teens from the area. The Roundtable’s Drug Free St. Lucie Coalition also draws attention to the degree to which signage at gas stations and convenience stores increases underage drinking and smoking and minimizes legal restrictions. They encourage business owners to clearly publicize and respect the laws. According to police and the justice system in St. Lucie County, no drug crime is minor, and every single one warrants a focused response. Even a minor possession charge can rob you of your driver’s license and career opportunities. Fortunately authorities are beginning to see that the problem demands a different kind of solution than jail time and other penalties, and that in many cases long-term residential inpatient treatment is the only source of hope to keep people from reoffending. Whatever happened to Mary Jane? Marijuana dispensaries are allowed to operate legally but they must be located at least 1000 feet from any school or church and must also submit to a fire inspection. And they’re only allowed to sell to those who show a prescription from a doctor. Over 60,000 of the state’s inhabitants have been approved to purchase medical marijuana. But the implementation of this system hasn’t been a walk in the park. Supplies are still limited, and many complain that although they have legitimate reasons to use medical marijuana, there have been serious delays in getting licensed to buy it. As for recreational marijuana, there is still much opposition to its legalization. Although many openly support legalizing marijuana for recreational purposes there is still widespread public anxiety that such a move would lead to greater moral and social decline. Sterile syringe campaigns have been the subject of conflict among politicians and citizens in Port St. Lucie, seen as an aid to both public health and criminal activities. Many hospitals, clinics and drug stores in the county have safe disposal stations for safely getting rid of used needles and unused medications, and there are many who support accepting an expansion of the syringe exchange program now operating in Miami-Dade County. Drug Courts are an initiative first developed in Miami in order to deal with the problem of addicts repeatedly committing crimes simply as a way to get money for their drug habits. The system recognized that the solution is not repeated incarcerations but rather treatment for the addictions that compel the criminal acts. Addicted offenders have a choice of going though a conventional trial process or going through drug court, which places them in a treatment program with which they must cooperate if they wish to avoid being sent back to regular court and sentenced to jail time.The Drug Court is available to first time offenders and occasionally to repeat offenders. If the applicant successfully terminates a residential inpatient treatment program their charges can be dismissed. Florida’s 19th Judicial Circuit serves St. Lucie County with a felony drug court and a juvenile drug court. Port St. Lucie’s response to the opioid crisis has been, for the most part, swift, strategic, and highly effective. Among the omni-directional solutions is a vast array of treatment centers catering to the needs of addicts of all incomes. Before entering any treatment facility you must first be assessed by a medical professional who’ll screen you for drug and alcohol abuse. There must be evidence that you have been abusing drugs, and because of this it’s important to present yourself while you are experiencing symptoms. Once this is determined the medical professional will question you about what drugs you might have been using, your history of drug use, your usage habits, and what effect drug use has had on your life. They will also try to determine if you are experiencing any issues with mental health. This can take up to an hour, and may lead to a more in-depth assessment. If the patient agrees to undergo treatment or is part of an intervention initiated by family or friends, a treatment program will be chosen. Payment arrangements are made. The patient will be prepared and the facility will make clear what items can and cannot be brought in and what behaviors will or will not be tolerated. It will be made clear to the patient that they must remain free of alcohol and drugs for the remainder of their stay and also submit to random drug tests to ensure they’re not using. If the patient hasn’t already gone through detox, detox will be the next step. Even if the patient resists the treatment and is only there because of an intervention, they must be mentally competent and physically stable enough to undergo treatment. No addiction treatment program can commence without detox—the process whereby the body is weaned off the drug—because no treatment plan can succeed if there are still drugs in their system or if the patient is still using. This normally takes up to 30 days but sometimes this is divided between inpatient and outpatient treatments. It’s generally judged that inpatient treatment works best as it keeps the addict from returning to the same environment with its temptations and triggers. The detox, or detoxification process, is a period in a safe place where withdrawal is supervised by a doctor. Depending on the addiction, the doctor may administer medications to ease withdrawal. These drugs might include, anti-nausea medications, benzodiazepines such as diazepam and chlordiazepoxide, disulfiram acamprosate, anticonvulsants such as depakote or tegretol, or antidepressants. Detox also involves counselling, peer support, and education. “Inpatient treatment” means 24 hours a day residence in a treatment facility for short or long periods. For most and especially long-term addictions long-term residential programs of three months, six months, a year, or even a number of years have a higher rate of success than do shorter programs. Many different inpatient programs exist in Port St. Lucie, each one designed to treat addictions in general and specific types of addiction or individuals. The term “outpatient treatment” refers to any treatment approaches offered outside a residential setting. This can include counseling, peer support, drug testing, education, and other resources. Addiction is recognized as a problem that doesn’t simply go away; to some degree it must be managed and controlled for the rest of one’s life. “Aftercare” is the term used for maintaining sobriety after specific programs have been successfully completed. This may be as simple as regular attendance at Twelve-Step groups like Alcoholics Anonymous or Narcotics Anonymous, but it may also mean spending time living in a halfway house or some other facility where one is shielded from temptation and given adequate peer support. We hope we’ve encouraged you to escape the hell you’ve fallen into and have shown you that there are multitudes of loving helpful people ready to take your hand and lead you to your own Promised Land. Call us and let us help you find the best recovery solution for you!